Those close to seven-time Formula One champion Michael Schumacher will continue to keep his health a private matter, according to reports. The latest report on Schumacher, who sustained severe head injuries in a skiing accident in late 2013, was that he still could not walk or stand after nearly three years. Schumacher sustained the severe head injuries on a family skiing trip in France on Dec. 29, 2013, when he fell and struck a rock that cracked his helmet. 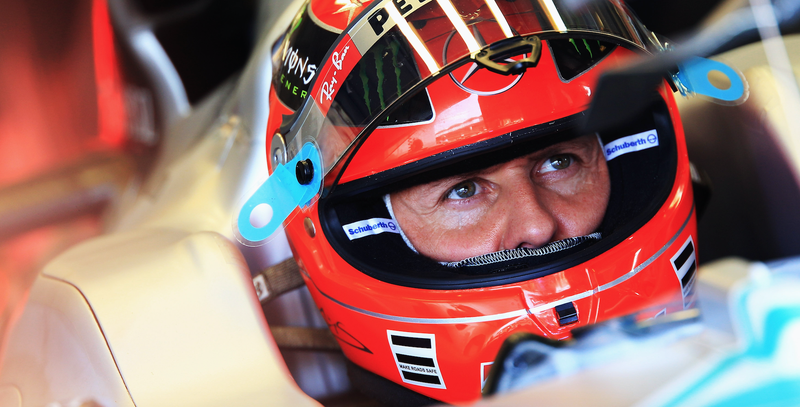 The accident resulted in a cerebral hemorrhage and Schumacher went to a French hospital to undergo brain surgery, being admitted in a coma and classified as in critical condition. Schumacher eventually stabilized, and began care in his own home in 2014. But the bad news didn’t stop, with reports of his medical records being stolen and put up for sale in 2014. “Michael has always been very protective of his privacy, even during the most successful times of his career. He has always made sure there is a clear and distinct line between his public persona and his private one,” Kehm said.